Two Palestinian children were shot by Israeli occupation bullets in eastern Jabalya in the northern Gaza Strip, on Friday evening. Dr. Ashraf al-Qidra, Health Ministry spokesman, told PIC's reporter that the occupation forces stationed at the Israeli security fence adjacent to the northern Gaza Strip, opened fire at Palestinian agricultural lands and residential neighborhoods in the east of Abu Safiya region, east of Jabalya, injuring two children aged sixteen. 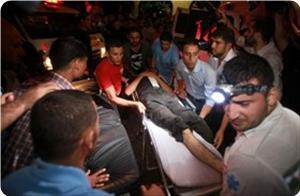 He stated that the wounded were transferred to the Shifa Hospital complex suffering moderate injuries. Four citizens have been killed while more than 75 others have been wounded in shootings carried out by the Israeli occupation forces since the truce agreement signed on the 21st of November last year. The Israeli occupation forces (IOF) at dawn Thursday launched a campaign of raids in villages west of Jenin city and established military checkpoints. Local sources reported that a force of Israeli soldiers aboard military vehicles stormed Al-Arqah village and broke into a house under construction belonging to Abdul-Karim Salama. They added that the troops invaded the house for hours and turned it into a military post from which they monitored the neighborhoods of the village and launched raids on other homes. The IOF also raided at dawn homes and greenhouses in Kafr Dan village and many troops were deployed on Jenin-Haifa street. Eyewitnesses also reported that the IOF invaded Burqin village and positioned themselves in different alleys without any reported arrests. In an earlier incident, local sources said that the IOF kidnapped late yesterday a young man named Osama Bazour from Raba village east of Jenin as he was trying to cross a military checkpoint in Barta'a area. In another context, an Arab-speaking Israeli radio station said on Thursday that the Jewish settlers in the West Bank demanded the Israeli army to re-deploy military checkpoints that had been removed about two years ago as part of a deal with the Palestinian authority. The radio station added that the West Bank settlers made that demand after one of them was seriously injured last Tuesday in a knife attack south of Nablus city. An analyst says the US and Israeli claims that Tel Aviv jets have bombed a convoy of Weapons in Syria are full of inconsistency. He also added that Israel had become increasingly disaffected in the region. In the background of this Syria has accused Israel of violating its airspace and carrying out a dawn airstrike that hit a scientific research facility near Damascus. 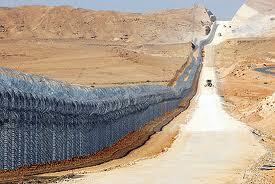 The attack came after foreign-backed militants failed to capture the site. 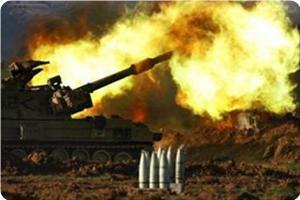 Israel claimed earlier that it had targeted a convoy of chemical weapons through Syria. Despite Israeli allegations of bombing a weapons convoy heading to Lebanon, Syrian sources reported that the Israeli Air Force bombarded a military scientific center in a suburban area near the Syrian capital, Damascus. Two persons were killed, and several others were injured. 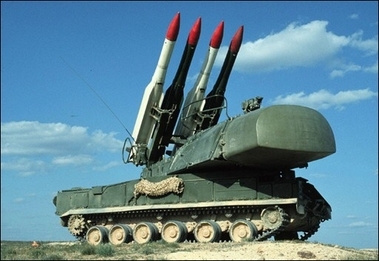 Israeli security officials claimed that the target was a convoy “carrying weapons that could change the rules of the game in the region”, including advanced Russian Sam 17 surface-to-air missiles that Syria was allegedly transporting to the Lebanon-based Hezbollah party. The officials said that the alleged missiles can hit planes flying at a low altitude, from very far distances, and are equipped with advanced radar systems. They also claimed that, should these missiles have been able to make it to Hezbollah, the Israeli Air Force would “lose its sovereignty over Lebanese airspace”. Syrian sources reported that the Israeli Air Force snuck into Lebanon by flying over the Jabal Al-Sheikh (referred to as Mount Hermon) area, at a low altitude in order to avoid being detected by Syrian radars, and headed to the Jimraya area, in the Damascus countryside, where a Syrian scientific research facility is located, and bombarded it. 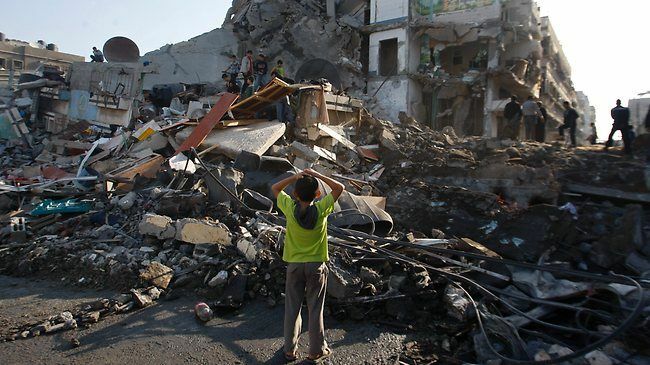 The Israeli missiles led to the death of two persons, while at least five others have been injured, and caused significant damage to the building and several nearby buildings, including a parking structure. Meanwhile, the Lebanese army reported that the Israeli Air Force violated the Lebanese Airspace 16 times on Tuesday between 09:30 in the morning, and 02.00 on Wednesday at dawn. Israeli occupation forces (IOF) stormed the village of Yabad, south of Jenin, on Wednesday and engaged in confrontations with young men. 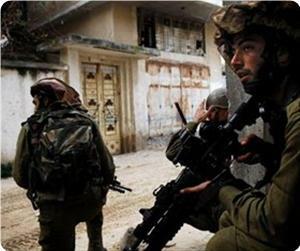 Local sources said that the soldiers occupied a house that is still under construction and broke into Malul suburb. They said that the soldiers, earlier at dawn, detained two citizens after breaking into their family homes and damaging personal belongings in the eastern suburb of the village while looking for a third youth. The sources said that the soldiers used one of the detainees, Shaban Hashash, as a human shield for hours while roaming the streets of the village. Other IOF soldiers arrested a third young man in nearby Qabatiya village. Israeli occupation forces (IOF) fired teargas and metal bullets at a funeral at the main entrance of Beit Ummar village, north of Al-Khalil, on Tuesday starting fire in a Palestine home. Yousef Abu Mariya, a member of the popular committee against the wall in the village, told the PIC that IOF soldiers quelled hundreds of Palestinian citizens who were taking part in the funeral procession. He said that the soldiers’ intensive use of teargas canisters burnt down the house of Ahmed Allami, which is only 500 meters away from the IOF military watchtower at the entrance to the village. Abu Mariya said that many citizens were wounded in the clashes and that tension was still prevailing in the village. A large Israeli force raided a Jenin village overnight Tuesday in what locals say was the largest operation in the area for decades. Over 400 Israeli soldiers raided al-Mughayyir village overnight and conducted a house-to-house search of over fifty homes, interrogating residents, locals told Ma'an. "At 2 a.m., Israeli solders knocked on my door. I went out in a hurry to see who is knocking on my door at this time and was shocked when I saw Israeli solders pointing their guns at me, and asking me and my family to get out of the home. My wife, my four kids, and I stood outside in the rainy weather," Amjad Muhassin said. Soldiers made the family wait outside for over 30 minutes before gathering them in the living room and interrogating each family member, including children, he added. Ahmad Sawafta, head of the village council, said that soldiers asked residents to stand outside their homes carrying a piece of paper with their ID number. The villagers were then photographed with their ID numbers while soldiers raided their homes, Sawafta said, adding that this is the first raid of its kind in over 20 years. A 10-years-old girl, Nirmin, told Ma'an that six Israeli soldiers raided her home, ordering her mother and father to leave the home. "My brothers and sisters were crying. I slept under the blanket (I hide myself under the blanket). 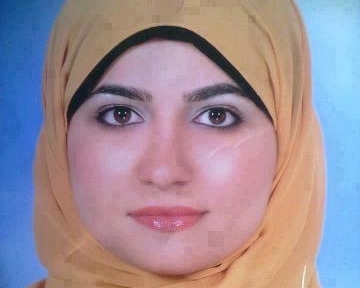 I was so scared that the Israeli soldiers would shoot my father and my mother," she said. No arrests were reported by villagers. An Israeli army spokesman did not return calls seeking comment. Israeli military forces routinely raid villages in the occupied West Bank and make arrests, usually on the pretext of security questioning, without providing further details. Palestinian medical sources reported that a young Palestinian man was shot and injured by Israeli military fire in the northern part of the Gaza Strip. The wounded Palestinian, age 19, suffered moderate injuries and was moved to a local hospital in Beit Hanoun, in northern Gaza. Eyewitnesses reported that Israeli soldiers, stationed near the northern border, opened fire at several Palestinian workers collecting scrap metal for recycling. The attack took place near the Agricultural College, north of Beit Hanoun. Approximately ten days ago, two Palestinians have been injured by Israeli military fire as they worked in their lands, close to the border in Beit Lahia, in the northern part of the Gaza Strip. Medical sources reported that Israeli soldiers, stationed across the eastern border of Beit Lahia, fired several rounds of live ammunition at Palestinian farmers in the area wounding two. Spokesperson of the Ministry of Health in Gaza, Dr. Ashraf Al-Qudra, stated that one farmer suffered a moderate injury after being shot in the leg, while another farmer was mildly injured after a live round scraped his head. The attack comes only four days after Israeli soldiers shot and killed a Palestinian farmer in the same area; the farmer, Mustafa Abu Jarad, 21, was shot by a live round in the head. A Palestinian worker was shot and wounded in northern Gaza on Tuesday at the hands of Israeli occupation forces (IOF). Eyewitnesses told the PIC reporter that IOF soldiers near the border security fence fired at workers while collecting iron scrap north of Beit Hanun town injuring one of them. IOF soldiers daily target Palestinian citizens and farmers while working near the border fence surrounding the Gaza Strip in violation of the calm agreement reached between Palestinian resistance and Israel under Egyptian patronage on 21/9/2012. A week ago Monday, the Israeli army started drills using live ammunition in several Palestinian villages in the southern West bank city of Hebron. The training was held despite a preliminary High Court ruling preventing the army from conducting training near Palestinian civilian areas. Israeli daily, Haaretz, reported that the military drills in the Palestinian villages, come despite the preliminary court ruling that was issued on January 16, ordering the army not to evict the Palestinians from their homes and villages, and to refrain from conducting training in populated areas. Attorney Shlomo Lecker, of The Association for Civil Rights in Israel, filed an appeal to the Israeli High Court asking it to demand Israel Defense Minister, Ehud Barak, to ensure that the army does not violate the court ruling, and to ensure no military drills are held near the villages. But the Israeli military issued a statement claiming that the training “is being held in an area dubbed as Fire Zone 918 in compliance with Israeli laws”. The villages are not recognized by Israel. But the villages confirmed that the military activities are being held in close proximity to their dwellings and tents, in lands planted with barely. The villagers are farmers and shepherds, and the Israeli drills are directly impacting their daily lives, and preventing them from feeling safe in their own homes and villages. The army also dug tunnels and holes for training purposes, an issue that made it difficult for the residents to enter their own villages. The villagers also fear for the lives of their children who live in fear due to the ongoing sounds of live ammunition used by the army during training. Israeli soldiers invaded the village of the Al-Mogheer, east of the northern West Bank city of Jenin, and took pictures of 14 homes after breaking into them and searching them. The Palestine News & Info Agency (WAFA) reported that several Israeli military vehicles invaded the village and took pictures of the 14 homes after forcing the families out in the cold for several hours. The soldiers also interrogated the residents while inspecting their ID cards. Also on Tuesday at dawn, the army invaded the northern West Bank city of Nablus, broke into and searched dozens of homes, and kidnapped two residents identified as Mohammad Khaled Al-Madany, from Rafidia in Nablus, and Hosni Imad Al-Amoudy from Ras Al-Ein. The army also invaded ‘Aaba village, near the northern West Bank city of Jenin, and kidnapped one resident after breaking into his family’s home and violently searching it. The kidnapped resident has been identified as Abdul-Karim Azamta, 23, a student of the Al-Quds Open University. The Israeli army claimed that its soldiers managed to foil an infiltration attempt by gunmen who attempted to infiltrate into Israel through the Egyptian border. 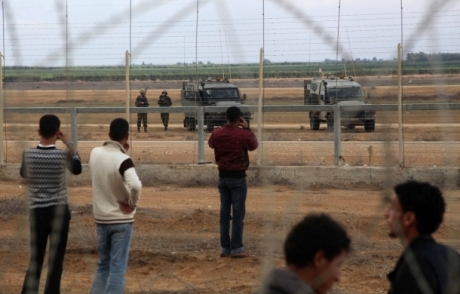 The army said that gunmen approached the Egyptian side of the border fence, while a car also approached the Israeli side of the fence. According to the Israeli military statement, the soldiers noticed the vehicle approaching the fence, and ordered the driver to stop, but he did not cede to the soldiers command, and the army opened fire. Two persons were in the car and were both injured before the army took them to the Soroka hospital in Beershivsa (Be'er As-Sabe'). Israeli occupation forces arrested at dawn Monday two Palestinian minors during raids in the town of Beit Ummar, north of al-Khalil. The occupation forces raided the town and arrested both of Hamza Ahmed Abu Hashem, 14, and Isa Mohammed Al-khalil, 15, after storming his house and tearing his identity card, Mohammed Awad, coordinator of the Popular Committee against the settlement in Beit Ummar told Quds Press. The Israeli soldiers had fired on Sunday dozens of tear gas canisters at Palestinian houses in the center of the town, leading to a number of suffocation cases especially among children. In the same context occupation forces raided several suburbs of the city of al-Khalil and the town of Idna, where they conducted military patrols. Meanwhile, the occupation forces launched at dawn a broad raid campaign in the city of Jenin and the village of al-Arqah, where they stormed Palestinian houses and fired sound and gas bombs. Israeli occupation forces have raided last night a house under construction in al-Arqah village west of Jenin, where they searched it for more than an hour, local sources said. The sources pointed out that the house belonging to Amer Mahmoud Abdeldin, where the soldiers had provoked the area people by insulting them through loudspeakers and firing sound bombs. No arrests were reported. Israeli occupation forces also stormed Askary Street in the city of Jenin and launched combing operations along the road until the Nazareth road leading to the Jalama checkpoint. The human rights group B'Tselem said the Israeli army systematically violates international rules of engagement in the West Bank and allows its soldiers to use deadly force against the Palestinian protestors. In a new report on Monday, B'Tselem affirmed that over the past eight years, 10 Palestinians at least had been killed during clashes and protests triggered by the Israeli measures in the West Bank. The group stated that the Israeli army systematically violates international protocols with regard to the use of crowd-control means, which include tear gas and stun grenades, and rubber-coated bullets. The report accuses the Israeli army of using lethal force to disperse unarmed Palestinian protesters in the West Bank, noting that Israeli soldiers have killed 56 Palestinians since 2005 in clashes and protests. During these killing incidents since 2005, six Palestinians were killed by rubber-coated metal bullets and two by tear gas canisters, both of these weapons are supposed to be non-lethal, but firing them directly at protesters could cause fatal injuries, B'Tselem said. The other 48 protesters were killed on purpose by soldiers with live ammunition, the group added. The group also accused the relevant Israeli authorities of doing nothing to prevent the recurrence of such incidents and control the conduct of Israeli soldiers. The Friends Of Freedom And Justice Committee in Bil’in, near the central West Bank city of Ramallah, reported that Israeli soldiers violently attacked the weekly nonviolent protest against the Annexation Wall and Settlements in the village, leading to several injuries. The Committee said that Hamde Abu Rahma, 27, and Rateb Abu Rahma, 47, were shot in their legs by tear gas bombs fired by the army, and that dozens of protesters were treated for the effects of tear gas inhalation. The Week’s protest was named “The Friday of Loyalty To Lubna Hanash”, a young Palestinian woman who was killed by the Israeli army, in front of her college, in Hebron on Wednesday. Similar to previous weeks, the protest stated after Friday noon prayers at the local mosque in the center of the village, and the protesters, accompanied by Israeli and International peace activists, marched towards the Israeli Annexation Wall carrying Palestinian flags, chanting against the occupation, and calling for the release of all political prisoners held by Israel. As the protesters reached the Abu Lemon area, adjacent to the Wall, some protesters managed to cut some of the barbed wire fence just before the concrete wall. Soldiers, stationed behind the wall fired gas bombs, rubber-coated metal bullets and concussion grenades, and also sprayed the protesters with mater mixed with chemicals. Dozens of protesters were treated for the effects of tear gas inhalation. 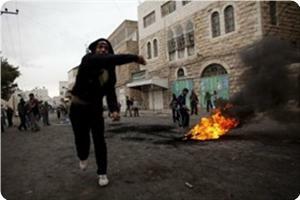 The Israeli military attack led to violent clashes between dozens of local youths and the army lasting for several hours. 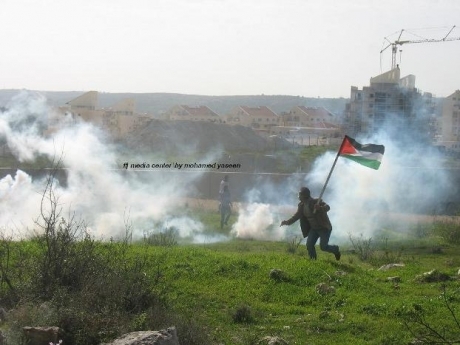 Also on Friday, several injuries were reported as the army attacked nonviolent protests against the Wall and settlements in Ni’lin and Nabi Saleh nearby villages, in addition to Kufur Qaddoum village near the northern West Bank city of Qalqilia, and in Al-Ma’sara village near Bethlehem. 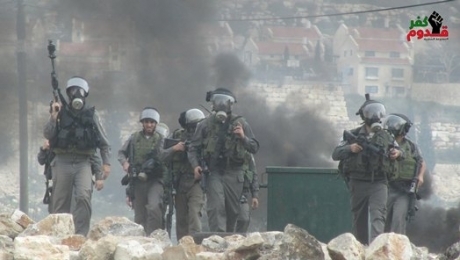 Israeli soldiers attacked the weekly nonviolent protest against the Annexation Wall and Settlements, in Kufur Qaddoum village, near the northern West Bank city of Qalqilia, kidnapped one resident and wounded several others. Morad Shteiwy, coordinator of the Popular Committee Against the Wall in Kufur Qaddoum, reported that the soldiers kidnapped one resident identified as Hilmi Shteiwy, 21. He added that the soldiers fired several gas bombs and rubber-coated metal bullets at the protesters; dozens of residents were treated for the effects of tear gas inhalation. Also, soldiers violently attacked and beat resident Zahy Ali, 47, leading to several cuts and bruises to various parts of his body. Shteiwy said that dozens of soldiers invaded the village during early morning hours Friday, and closed the main road that leads to the village to the Al-Jabal area in an attempt to prevent the residents from conducting their weekly protest. After the army attacked the protesters, a number of youths hurled stones and empty bottles at them. Also on Friday, three protesters and a journalist were injured when the soldiers attacked the anti-wall and settlements protests across the West Bank. 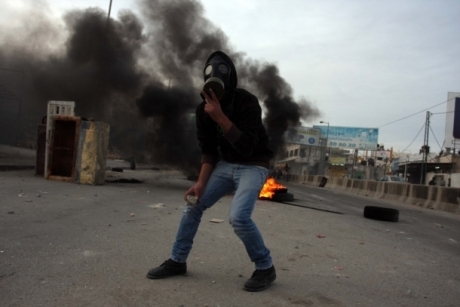 Protests were also held in Bil’in and Ni’lin villages, near the central West Bank city of Ramallah, and in the Al Ma’sara village, near Bethlehem. Three protesters and a journalist were slightly injured by Israeli army rubber-coated steel bullets in the village of Bil’in, and many protesters were treated for the effects of tear gas inhalation in Ni’lin. Seven Palestinians were wounded on Friday evening when Israeli occupation soldiers opened at Palestinians in two different areas in the northern Gaza Strip, according to Palestinian sources. A local journalist said that the IOF opened machinegun fire at farmers in two different areas in the northern Gaza Strip. The first was to the east of Martyrs Cemetery east of Jabalya, resulting in the injury of five Palestinians. 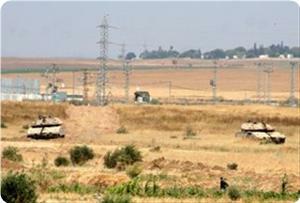 The other area in which Palestinian farmers came under IOF fire was east of Beit Hanoun, where two people were wounded. Dr. Ashraf Qudra, spokesman for the Ministry of Health, told PIC reporter that the five citizens wounded east of Martyrs Cemetery sustained moderate injuries. These incident are added to numerous IOF breaches of the truce agreement reached between Palestinian resistance and the Israeli occupation late November last year. These breaches resulted in the killing of 4 Palestinians and the injury of dozens. Israeli Occupation Forces (IOF) fired on Thursday evening artillery shells toward the Zeitoun neighborhood south east of Gaza City. Eyewitnesses said the Israeli artillery fired at a late hour on Thursday evening a shell toward Malaka area east of the Zeitoun neighborhood. There were no reports of injuries, although the shell has exploded. The sources added that after firing the shell, Israeli occupation forces opened fire towards Palestinian homes in the neighborhood, no injuries were reported. He pointed out to the presence of Israeli troops east of the Zeitoun neighborhood near Malaka Gate. This incident came in light of the continued Israeli violations to the truce signed between the Palestinian resistance and the occupation under the Egyptian mediation, where four Palestinians were martyred and many were wounded by Israeli fire, in addition to the arrest of 30 fishermen and the confiscation of a number of fishing boats in the Gaza sea since the truce. Clashes have been reported between dozens of Palestinian youths and Israeli soldiers invading the Al-Arroub refugee camp, north of the southern West Bank city of Hebron. Local sources reported that the army fired dozens of rounds of live ammunition in addition to rubber-coated metal bullets and concussion grenades at the protesters, and at a number of homes at the entrance of the camp. The clashes in the camp started on Wednesday after Israeli soldiers shot and killed a young Palestinian woman, identified as Lubna Hannash, 23. Hannash was a student at the Al-Arroub College. A Palestinian woman and a young Palestinian man were injured in the Israeli military attack. Israeli Occupation Forces (IOF) stormed and searched at dawn Friday the home of liberated prisoner Bilal Diab in Kafr Rai town south of the city of Jenin. A large number of occupation soldiers surrounded the house in the town of Kafr Rai, before storming it, and forced all the family members to stay in the cold weather for hours, where they searched the house and damaged its contents before withdrawing, family sources told PIC reporter. Bilal Diab stated that "the raid is an Israeli message in response to our support for Palestinian prisoners in Israeli jails," adding: "it will not deter us from our support for the prisoners, and we will continue to stand with them until their release." 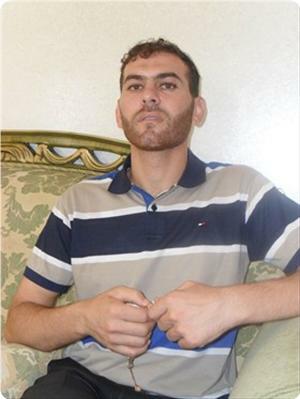 The liberate prisoner Bilal Diab fought a 78- day hunger strike in protest against his administrative detention, where he was released on August 9, 2012. 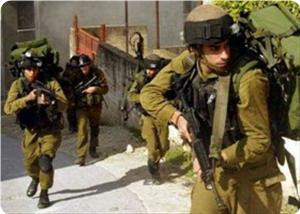 Israeli occupation forces (IOF) arrested at dawn on Friday 3 citizens in al-Khalil in the southern occupied West Bank. Israeli forces arrested Mohammed Jasser al-Omla, 24, after raiding and searching his house in the town of Beit Ula west of al-Khalil, according to local sources. Israeli forces arrested also the two brothers Mohammed and Issa Hassan Rashaida from Bethlehem, at a military checkpoint in the Nabi Yunis area, north of al-Khalil. In the predawn hours, IOF troops were deployed in the Nuba town west of al-Khalil, and in a number of the residential outskirts of the city, including Ein Sara neighborhood, Ras Jura. 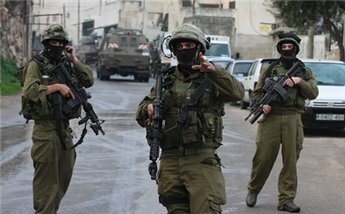 Meanwhile, violent confrontations erupted between Palestinians and the occupation soldiers in Arroub refugee camp north of the city of al-Khalil in the southern West Bank, where Israeli soldiers fired a barrage of live bullets and tear gas and sound bombs at the camp's entrance towards a number of houses. Palestinian youths addressed the occupation forces with stones and stayed until Friday morning on alert for fear of storming the camp. Prime Minister Ismail Haniyeh discussed on Thursday evening with Egyptian officials the hunger striker prisoners' issue in the Israeli prisons. 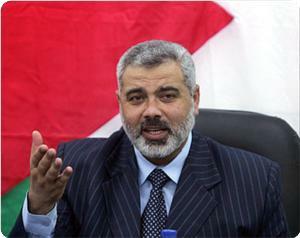 The Egyptian officials predicted, according to a statement issued by Haniyeh's office, that they would receive Israeli responses on this issue in the coming period, confirming their commitment to ensure implementation of the terms of Wafa al-Ahrar deal and the agreement that ended al-Karama strike in Israeli jails several months ago. 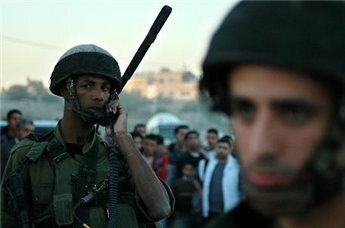 The Prime Minister telephoned the prisoner Samer Issawi's sister and told her the last results of the Egyptian efforts, praising the steadfastness of Issawi's family, and stressing that the prisoners' case is a national issue and a priority for the government. Israeli occupation forces (IOF) arrested at dawn on Thursday a Palestinian young man south of al-Khalil, and carried out raids in the district. Local sources reported that IOF invaded Thaheriya town, where they searched a number of houses and arrested the young man Nabil Al-Til who was taken to unknown destination. Eyewitnesses told PIC reporter that the Israeli soldiers broke into the towns of Yatta and Dura and neighboring Samoa, and they erected checkpoints at the entrance to the towns of Seir and Halhoul east and north of the city of al-Khalil. Israeli occupation forces also arrested today a liberated prisoner from his home in Qalqilya, in the north of the occupied West Bank. The liberated prisoner's family told the PIC reporter that Ahmed Omar was arrested after the IOF raided his home, adding that he was previously detained several times in the Israeli and PA prisons. The family pointed out that their son was transferred to an unknown destination. He is married and has two children. In Jerusalem, the Israeli police arrested the two brothers of the child Majdi Abu Tayeh who was arrested with two other children under the pretext of throwing stones at occupation troops. Abu Tayeh's brothers were arrested outside the Magistrate's Court on Wednesday, where they were protesting against the children's arrest. In the same context, the Magistrate's Court extended the detention of the boy Mohammed Raed Siam, 16, until next Sunday to complete interrogating him. Siam was arrested on Sunday after raiding his home, on allegations of throwing stones and molotov in Silwan, noting that he has been interrogated in the Moscobiya detention cells, despite being ill. Meanwhile, the IOF stormed on Thursday morning Qabatiya town south of Jenin, where they fired sound bombs and surrounded several houses and neighborhoods and drove residents out of their houses and raided the house of a Hamas activist where they interrogated him and his family. Local sources confirmed that the Israeli forces raided a house belonging to Awni Kamille, a Hamas activist, and detained him and his family outside their house despite the extreme cold weather while searching the house. The sources added that the IOF interrogated Kamille and his brothers in the bitter cold. At the same time, Israeli forces also raided at dawn the neighboring village of Mothalth Shohada, where they launched combing operations and set up ambushes. Israeli occupation forces (IOF) raided southern Gaza Strip areas to the east of Khan Younis on Thursday morning and damaged cultivated land lots. The PIC reporter said that IOF troops combed citizens’ lands to the east of Khan Younis and bulldozed agricultural fields in the process. He said that four huge bulldozers escorted by three army tanks infiltrated into Abu Reida area, east of Khan Younis city, and leveled land stretching from there to Abasan village amidst shooting of live bullets and smoke bombs at civilian neighborhoods. Medical sources said that no casualties were reported but farmers could not reach their fields until the IOF forces withdrew from the area. Medical sources in Hebron announced the death of the 21-year-old Palestinian girl Lubna Muneer Hanash from Bethlehem and three others wounded after an Israeli settler opened fire near al-Aroub refugee camp, north of Hebron. Witnesses and medical sources said that a settler opened fire at Palestinians, while driving by al-Aroub college, injuring Lubna Hanash with a bullet in her head and was admitted to the ICU in Al-Ahli Hospital in Hebron, and later announced dead. The Palestinian Ahmad Yousef Abu Ghazi from al-Aroub camp and Salah Kamel Abu Hashhash and the girl Suad Yousef Ja'arah, 38, were wounded and admitted to the same hospital for treatment. Media spokesperson of the Popular Committee to Resist Settlement and Apartheid Wall in Beit Ummar, Mohammad Awad, said that the shooting occurred at the northern gate of the college, and that a force from the Israeli army and police came to the incident place and prevented Palestinians from reaching the gate. Hundreds of mourners on Wednesday attended the funerals of a woman and a teenager shot and killed by Israeli forces in Bethlehem. Medical sources announced that a 16-year-old boy died of wounds sustained over the weekend when he was shot by an Israeli army bullet. Saleh Amareen was critically injured when he was hit by a bullet in the head during confrontations with Israeli soldiers near Aida refugee camp in the north of Bethlehem. He was taken to a hospital in Bethlehem before he was transferred to a hospital in Israel due to his critical condition. He was in a coma lfor three days before he was pronounced dead. Israeli occupation forces (IOF) stormed Yamon village, west of Jenin, on Wednesday morning and broke into the home of a citizen searching for his son. Local sources said that the soldiers broke into the home of Abdulghani Abul Haija and wreaked havoc in it and ordered the father to hand over his son Samed, who was not at home. IOF soldiers barged into the home of Jamil Al-Qut in the eastern suburb of Jenin city and served a summons to his 22-year-old son Sameh for intelligence interrogation at Salem army camp to the north of Jenin. 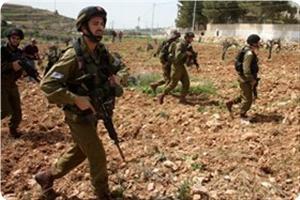 The soldiers also combed the outskirts of the village of Kufr Dan, Jenin district. IOF soldiers had bulldozed grapevines in Al-Khader village, south of Bethlehem, on Tuesday to pave the way for a road linking two settlements and destroyed 50 grape trees in the process. Ahmed Salah, the coordinator of the popular committee in the village, told Quds Press that the 100 meters long road was built on 35 dunums of land in Khilat Um ul-Fahm hamlet, near Al-Khader. He said that the Israeli occupation authorities had old ambitions in the hamlet and wishes to establish a Toratic park on its land. 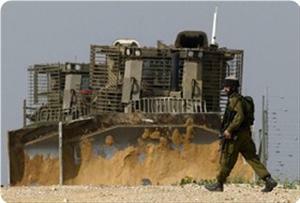 Israeli occupation forces (IOF) advanced into northern Gaza Strip on Wednesday morning in the company of a number of bulldozers that leveled cultivated land lots. The PIC reporter in Beit Hanun city said that the soldiers in three armored vehicles escorted the bulldozers to the east of the city. 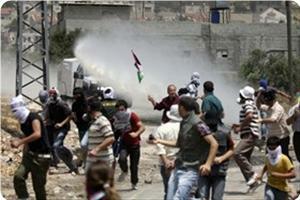 He said farmers in the area opted not to go to their land fearing possible IOF attack on them. A growing number of farmers refrains from tending to their land along the security fence extending from northern to southern Gaza due to the IOF violations of the calm agreement reached more than two months ago. 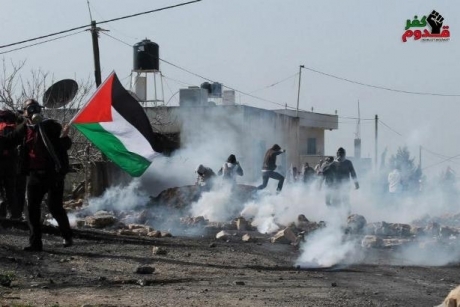 Palestinian medical sources reported that dozens of Palestinian workers have been treated for the effects of teargas inhalation after the army attacked them at the At-Taiba roadblock, near the northern West Bank city of Tulkarem. Eyewitnesses reported that the army closed the roadblock nearly at 5 at dawn, and prevented the workers from heading to their construction sites in Israel. They all carried valid work permits. The soldiers ordered the workers to go back home, and hurled several gas grenades at them leading to dozens of injuries. 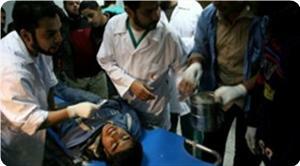 The wounded workers were moved to local hospitals in Jenin, and were all sent back home later on. Earlier on Thursday morning, Israeli soldiers invaded the Al-Yamoun village, west of Jenin, broke into the home of resident Abul-Ghani Abu Al-Haija, and searched the property causing damage. The soldiers were looking for Samed, the son of Abdul-Ghani; they demanded the father to “convince his son to turn himself in to the army”. They also confiscated several pictures of Samed. Also on Thursday, the army kidnapped at least six Palestinians in different parts of the occupied West Bank, after breaking into their homes and violently searching them. A Palestinian boy was seriously injured in the explosion of an Israeli army ordnance to the east of Breij refugee camp in central Gaza Strip on Tuesday. Dr. Ashraf al-Qudra, the health ministry’s spokesman, said that the boy was injured in his head, adding that he was hospitalized in serious condition. 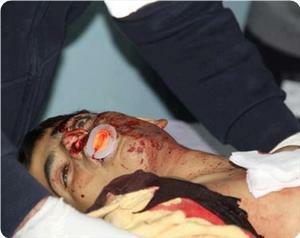 A number of Palestinian children and youths were killed or injured in similar incidents. The Israeli occupation forces waged fierce wars against Gaza Strip over the past years that left over many unexploded army ordnances. 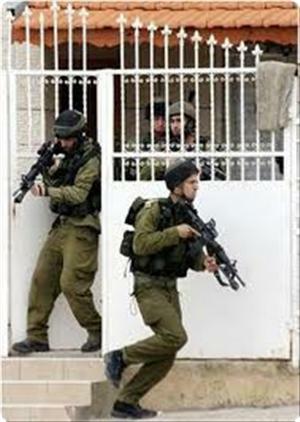 Tuesday - January 22, Israeli soldiers invaded several towns and villages in the occupied West Bank, broke into and searched dozens of homes and kidnapped a number of residents including two children. The army also installed roadblocks and inspected Palestinian vehicles while interrogating drivers and passengers. Under the protection of the Israeli police, the Israeli Prime Minister Benjamin Netanyahu stormed al-Buraq Wall, the western section of the Al-Aqsa Mosque in the Old City of Jerusalem. 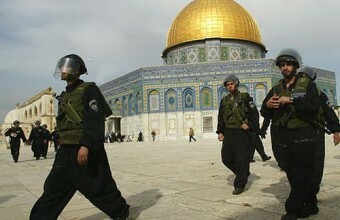 Eyewitnesses said that dozens of soldiers from the Israeli army closed the Prophet David Street that leads to the al-Buraq Wall "Western Wall", broke into three Palestinian surrounding houses and seized the rooftops for security purposes. Eyewitnesses also said that Netanyahu stayed at the Western Wall for 40 minutes, and that his visit coincides the Israeli election day of the Israeli Knesset. A Palestinian farmer was injured at the hands of Israeli occupation forces (IOF) while working in his field in Beit Hanun, in the northern Gaza Strip, on Monday. Dr. Ashraf Al-Qudra, the health ministry’s spokesman, told the PIC that the farmer was hit with a bullet in his foot, describing his injuries as moderate. The IOF soldiers routinely target farmers working in fields near the border fence surrounding Gaza in flagrant violation of the calm agreement reached under Egyptian patronage two months ago. Israeli special forces of the Dror unit stormed the Negev prison cells at the early morning hours of Monday and forced prisoners out of their rooms for search. The Palestine prisoners center for studies said that the prisoners were forced out in the freezing weather without allowing them to take heavy clothes or covers. The storming operation was sudden and targeted ward 8, the center said quoting prisoners, adding that that a big number of policemen and Dror forces took part in the operation. It said that tension is still running high in the jail as the quelling and search operation was still ongoing till the noon hours. Confrontations were reported in Beit Ummar village, north of Al-Khalil, between Israeli occupation forces (IOF) and young men in the village on Sunday. Local sources said that IOF soldiers fired rubber-coated metal bullets and teargas at the young men who threw stones at the soldiers. They added that a number of citizens were treated for breathing difficulty. The sources said that the young men threw a firebomb at a military watchtower at the entrance to the village, noting that a big number of soldiers rushed to the area. Monday at dawn - January 21, Israeli soldiers invaded the Bab Al-Karama Palestinian village, installed by Palestinian activists on lands Israel intends to illegally confiscate in Beit Iksa, north west of occupied Jerusalem, and removed all tents and structures. Palestinian activists in Bab Al-Karama (Gate Of Dignity) stated that the soldiers removed and demolished everything the activists installed, and started forcing them away from the entire area. Kamal Hababa, head of the Bab Al-Karama village council, stated that a large number of Israeli soldiers, accompanied by military vehicles and bulldozers, invaded the area and removed the structures. The army also continued its siege on the area preventing the residents from reaching Bab Al-Karama. The new Palestinian ‘village’ was installed on Friday on privately-owned Palestinians lands that belong to the residents of Beit Iksa; the lands are on the area Israeli dubs as E1 where the Netanyahu government intends to build thousands of units for Jewish settlers. On Sunday, the Israeli forces closed the checkpoint leading to Beit Iksa and attacked nonviolent protesters with gas bombs and stun grenades, and gave notice that they would evict the village. The Palestinians insist that, similar to Bab Al-Shams village that was also attacked and removed by the Israeli army and police, last Wednesday at night, Bab Al-Karama is built on Palestinian lands, and that the Palestinians have the right to build on their own lands, part of the future Palestinian state. Israel on the other hand is building an expanding illegal Jewish-only settlements on Palestinian lands in different parts of the occupied West Bank, and occupied East Jerusalem. The site where the Bab Al-Karama was installed overlooks the valley with the 1948 border where the remains of the village of Lifta are visible. Lifta was one of hundreds of villages depopulated in 1948 when Israel was established in the historic land of Palestine. Just beyond Lifta, the remains of the village of Deir Yassin, also depopulated in 1948, are still visible. Israeli occupation forces raided at dawn, the village of Bab Al Karameh "Gate of Dignity" that was erected Friday in Beit Iksa northwest Jerusalem, demolished the village's mosque and confiscated the tents. One of the activists, Saed Yaqeen, told PNN that IOF troops raided the village around 2 AM, escorted by 30 military vehicles and a bulldozer, attacked the Palestinian and international activists, forced them to evacuate the village and deported them to Beit Iksa nearby village and started demolishing Bab al-Karameh. The activist Hussam al-Sheikh also told PNN that Bab al-Karameh citizens will return with the citizens of Beit Iksa to Bab al-Karameh to plant olive seedlings and try to rebuild the village, adding that the nonviolent resistance is more effective and that existing in the village is a way to defend the Palestinian right, dignity and land. Al-Sheikh said that Israeli occupation declared the village a closed military area and that no one can cross the borders of Beit Iksa, adding that no one from outside Beit Iksa is able to reach Bab al-Karameh. Sources from inside the village said, "more than 300 Israeli soldiers raided the village erected on Beit Iksa land and totally destroyed the village." The activist Mahmoud Rabee' said "Israeli authorities imposed a curfew on Beit Iksa following confrontations erupted with the citizens who were protesting against the demolishing of Bab al-Karameh village." 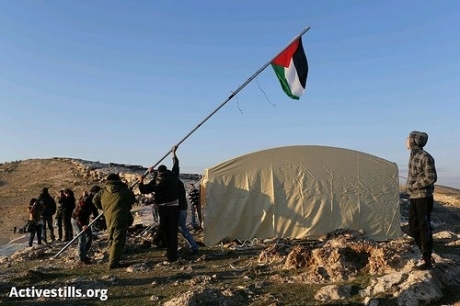 It's worth mentioning that on Sunday, Israeli forces handed the activists demolition notices. Israeli forces also prevented dozens of Palestinians from reaching Bab al-Karameh under the pretext that it is a closed military area. 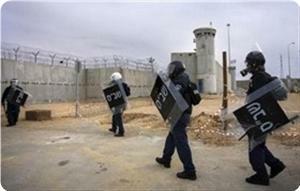 At Beit Iksa checkpoint, confrontations launched with Palestinians who tried entering into the village. Israeli soldiers fired rubber-coated bullets and tear gas bombs, causing several injuries among the Palestinians. Palestinian activists said that IOF troops on Sunday morning stormed village of Bab al-Karamah set up by Palestinian activists on the lands threatened with confiscation in the village of Beit Iksa northwest of Jerusalem. Nabil Hababa, coordinator of the Popular Campaign against the Wall and settlements in the north of occupied Jerusalem, pointed out that the Israeli military forces stormed the village at 7 o'clock this morning, accompanied by four military vehicles. Hababa noted in a press statement that the IOF took photos of the activists who have been in the village and whose number exceeds 400 activists and informed them that building works are not allowed without the occupation's authorization. He stated that the activists refused to obey the occupation soldiers' orders and to leave the village. He also appealed to the Palestinian people and solidarity activists to flock to the new village in order to protect it from the occupation. 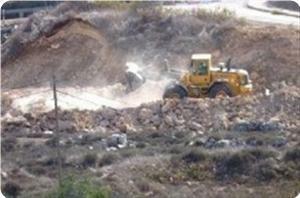 The occupation authorities have continued its plans to close the village of al-Karamah. They closed the checkpoint at the entrance to the village of Beit Iksa and the roads leading to al-Karamah village, and prevented the activists from entering into or leaving the village. The activists in the village asserted that the occupation authorities did not hand them over a military order announcing the village a closed military zone. MP Jamal al-Khudari, head of the Popular Committee against the Siege, denounced in statement on Sunday, storming the village of Bab al-Karamah by the occupation army for the third time in two days, stressing that targeting villages set up by the activists on their lands threatened with confiscation will escalate popular resistance. He also called for the expansion of popular and peaceful campaigns against the wall, the settlements in the West Bank and occupied Jerusalem and the siege in Gaza as a means of resistance. Israeli occupation forces (IOF) stormed last night the town of Burin, south of Nablus, searching a number of the houses in the village. According to the citizen Mazen al-Najjar, more than 15 military jeeps and dozens of soldiers stormed the town, where they erected a barrier at the entrance of the town and they began searching the cars and detaining a number of citizens. Al-Najjar confirmed that the occupation forces closed the town for more than two hours, and stormed and searched a number of houses, combing the area near the bypass road and the junction near Yitzhar settlement on the territory of the town and surrounding villages. 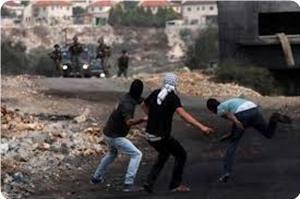 Israeli settlers yesterday hurled stones at Palestinian cars on the main road leading to the Burin. Hebrew sources had announced that an Israeli settler was wounded yesterday as a result of throwing a Molotov bomb on his car. Meanwhile, limited clashes erupted at dawn today, between the Palestinians and the Israeli occupation army in Zububa village to the west of Jenin in the northern West Bank. Eyewitnesses reported that Israeli military vehicles stormed the village of Zububa in the early hours of the morning and started combing operations to the area adjacent to the apartheid wall built on the village's land, where clashes erupted during which Israeli soldiers fired stun grenades and gas towards Palestinian young men and boys who responded by throwing stones and empty bottles. Local sources explained that the village is witnessing sweeps and frequent raids and arrests carried out by the occupation forces under the pretext of "controlling the barrier and chasing Palestinian youth who carry out destructive actions." In another context, the Israeli occupation forces closed the military roadblock near the village of Jaba northeast of the city of Jerusalem, and prevented vehicles from crossing the barrier. The occupation authorities have imposed hundreds of roadblocks in the West Bank and around Jerusalem. Israel's Ambassador to Germany Yaakov Hadas-Handelsman has taken a swipe at a German columnist for his article in which he compared the Gaza Strip with the Nazi concentration camps. In a Saturday interview with the German daily Rheinische Post, Hadas-Handelsman described as “shameful” the comparison that columnist Jakob Augstein made in his article published in Der Spiegel. Augstein, a vocal critic of the Israeli regime, later said he “went too far” by the word “camp” but again attacked the Israeli regime by comparing it to the former Apartheid regime in South Africa. The Israeli envoy said any criticism of his regime’s policies by German people is different from similar censures by the British or the Norwegians and urged the Germans to be more careful about their criticism of Israel. Gaza has been blockaded since June 2007, a situation that has caused a decline in the standard of living, unprecedented levels of unemployment and unrelenting poverty for Palestinians. Israel denies about 1.7 million people in Gaza their basic rights such as freedom of movement, jobs that pay proper wages and adequate healthcare and education. Israel invaded the Gaza Strip in mid-November and killed more than 160 people and injured some 1,400 others during eight days of massive airstrikes on the besieged territory. 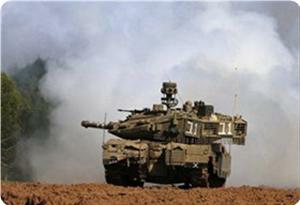 Israeli occupation forces (IOF) fired at Palestinian homes to the east of Rafah, south of the Gaza Strip, on Saturday. The PIC correspondent in Rafah said that soldiers stationed in military watchtowers and armored vehicles opened heavy machinegun fire at the Gaza international airport with no reports of casualties or damages reported. The incident is the latest in a series of breaches of the calm agreement brokered by Egypt on 21/11/2012 that killed four Palestinians and wounded dozens. The violations also included the arrest of 30 fishermen at sea and blasting and seizing control of many fishing boats off the coasts of Gaza. Friday evening, a Palestinian child was seriously injured during clashes that took place between Israeli soldiers and Palestinian youths in the Aida refugee camp, in the West Bank city of Bethlehem. The child, Saleh Al-Amareen, 15, was moved to the local governmental hospital in Bethlehem suffering serious injuries after being shot by a live round to the head. Aida refugee camp in Bethlehem have been repeatedly attacked and invaded by Israeli soldiers this week leading to clashes between the residents and the invading army; several injuries have been reported. The Israeli army conducted at least 40 military invasions into Palestinian communities in the West Bank and Gaza this past week, and killed a teenager, injured another and kidnapped at least 29 Palestinian civilians. This week invasions in the West Bank were focused in the cities of Jenin and Nablus, northern West Bank and in Hebron in the south; four children were among those arrested by the army this week. On Tuesday midday a 17-year-old Palestinian boy was shot and killed by Israeli soldiers, as he walked near his school close to the Israeli Annexation Wall in Bodros village, in central West Bank. The slain young Palestinian has been identified as Samir Ahmad Abdul-Rahim, 17; he was shot as he and his schoolmates were leaving school. IOF troops on Friday critically wounded a Palestinian boy during confrontations that broke out at Aida refugee camp in the southern West Bank city of Bethlehem. Local sources said that 14-year-old Saleh Farajeen from the Ezza refugee camp in Bethlehem was wounded during clashes between the IOF and local youth in neighbouring Aida refugee camp. A Palestinian medical source told PIC that the teenager arrived Friday afternoon at the Arab Society Hospital in Beith Jala in a critical condition because of a bullet wound to his head. The boy was taken immediately to the operating theatre. At the same time arrangements were being made to transfer him to Hadasa hospital in Jerusalem. Meanwhile, IOF troops wounded two Palestinian farmers in Beit Lahya, in the northern Gaza Strip. The Ministry of Health spokesman, Dr. Ashraf al-Qedra told PIC that two farmers in their twenties were wounded by the IOF in Abu Safeyya area in the northern Gaza Strip. He added that one of the farmers was hit in his foot and sustained a moderate injury while the other had a bullet scraping his head lightly injuring him. Both were taken to Kamal Odwan hospital. Occupation soldiers target farmers whose fields lie near the border fence on nearly a daily basis despite agreeing to a polish the buffer zone in the latest truce agreement with the Palestinian resistance, making all these incidents violations of the truce on the part of the occupation. Friday January 18, Palestinian medical sources reported that two Palestinians have been injured by Israeli military fire as they worked in their lands, close to the border in Beit Lahia, in the northern part of the Gaza Strip. Israeli soldiers repeatedly target Palestinian farmers and workers in Palestinian lands close to the border fence as the soldiers try to keep the Palestinians away from the fence area; dozens of casualties have been reported, especially since Israel imposed the siege on Gaza in June of 2006. 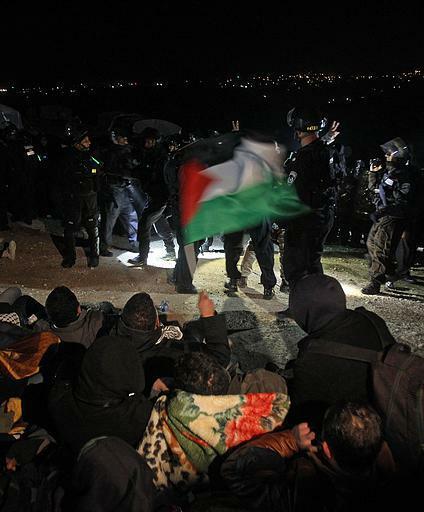 Friday, January 18, Israeli soldiers attacked the weekly nonviolent protest against the Wall and Settlements, and against the continued closure of the main road leading to the Kufur Qaddoum village, that was blockaded by the army ten years ago. Hundreds of residents, Israeli and international peace activists marched from the village, near Qalqilia, after the villagers conducted noon prayers. As they arrived at the gate closing the main road, the soldiers fired dozens of gas bombs, and rubber-coated metal bullet leading to dozens of injuries among protesters and journalists. Murad Shteiwy, media coordinator of the Popular Committee in Kufur Qaddoum, stated that this week’s protest came in support of the Palestinian detainees, especially detainees on hunger strike, and added that the detainees require the utmost attention and solidarity amidst ongoing Israeli violations against them. Shteiwy added that the army wants to silence the Palestinian, resorts to the excessive use of force and deliberately fired gas bombs towards the villager’s homes. He demanded the Palestinian Authority to act against the ongoing closure of the Kufur Qaddoum road, and said that more than 3500 residents have to use an alternative unpaved bypass road that was flooded by the recent rainfall an issue the poses direct threats to the lives of the residents. 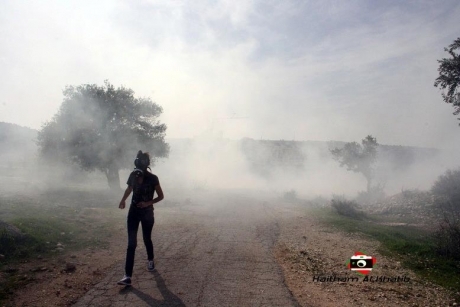 Also on Friday, the army attacked the weekly nonviolent protests against the Wall and settlements in the villages on Bil’in, Nil’in, and Nabi Saleh village, near Ramallah, and in Al-Ma’sara village near Bethlehem; dozens were treated for the effects of tear gas inhalation. The Friends of Freedom and Justice Committee in Bil’in, near the central West Bank city of Ramallah, reported that dozens of nonviolent protesters have been treated for the effects of gas inhalation after Israeli soldiers attacked the weekly nonviolent protest against the Wall and Settlements. The week’s protest was held in condemnation of the killing of Palestinian youth Samir Ahmad Awad, 17 who was shot and killed, Tuesday, by Israeli military fire in Budrus village near Ramallah. “The march began after Friday prayers from the center of the village towards the wall. Dozens of Israeli and foreigner activists Participated the march along with the people of Bil'in, the participants raised Palestinian flags, martyr photos and chanted slogans calling for resisting the Israeli occupation , the demolition of the separation wall and also they called for a real solidarity with the Palestinian political prisoners to liberate them from the Israeli Jails”, the committee reported. Later on, violent clashes took place between local protesters and the soldiers as the army chased local youths in an attempt to kidnap them. Elsewhere on Friday of this week, anti-wall protests were also organized at the village of Nil’in, and Al Nabi Saleh, central West Bank, in addition to Al Ma’sara village in the south and Kufer Qadum in the north. 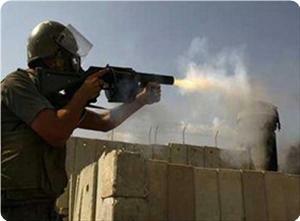 Israeli soldiers suppressed the nonviolent protesters with tear gas and rubber-coated steel bullets. Many were treated for the effects of tear gas inhalation. Friday at dawn January 18, Israeli soldiers invaded Beit Fajjar town, south of Bethlehem, and kidnapped twelve Palestinians after breaking into their homes and searching them. 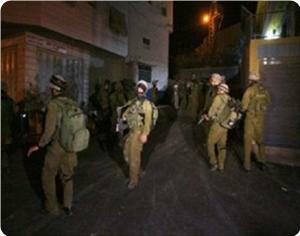 Soldiers also invaded towns near Jenin, and a town in occupied East Jerusalem. 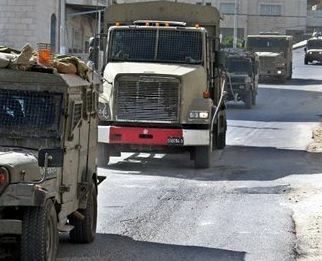 Several armored Israeli military jeeps invaded Beit Fajjar after surrounding it, while dozens of soldiers were deployed in its streets and on its main entrances. The soldiers then broke into and violently searched dozens of homes causing excessive damage and kidnapped the twelve residents. In related news, the army invaded Sielet Al-Thaher town, near the northern West Bank city of Jenin, and handed six residents military warrants ordering them to head to the Salem military and security base for interrogation. The soldiers also invaded Al-Arqa village, near Jenin, and fired several concussion grenades, gas bombs, and several flares. On Thursday evening, the army invaded Sur Baher town, south of occupied East Jerusalem, and surrounded the Al-Omary mosque. The army, and a number of security officers, stopped dozens of residents leaving the mosque, and inspected their ID cards while interrogating them. 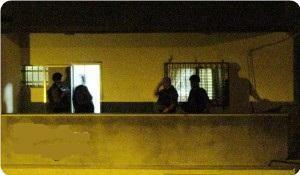 Soldiers also handed 15 residents military warrants ordering them to head to a nearby military base for interrogation. The invasion led to clashes between the soldiers and the residents, and the army fired several concussion grenades and gas bombs at the residents. Local sources in Khirbit Yanoun village, near Aqraba in the northern West Bank district of Nablus, reported that Israeli soldiers invaded the village, took pictures of several homes and of the village’s ancient mosque , and broke into the mosque. Hamza Deeriyya, member of the Committee for Defending the Lands of Aqraba, told the Quds Press News Agency that the army took pictures of several homes, and broke into the village’s mosque, adding that the mosque is being renovated. Deeriyya added that the soldiers even took pictures of stones that were brought to be used in renovating sections of the ancient mosque, and stated that the villagers fear that the army might try to occupy ancient buildings in the village under different claims. 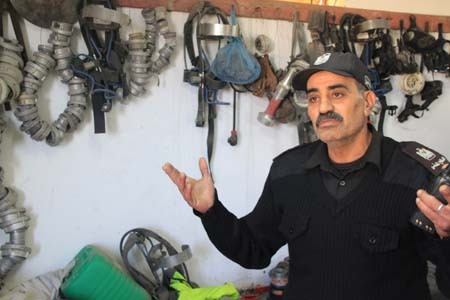 Jamal Dayem Sehwail (55) in a Civil Defense room with fire fighting equipment, Gaza. Late on Wednesday at night, Israeli soldiers invaded several West Bank communities, broke into and searched several homes, and kidnapped a number of Islamic Jihad members and supporters, mainly those involves in solidarity activities supporting Palestinian political prisoners held by Israel. The army invaded Rojeeb village, east of the northern West Bank city of Nablus, and kidnapped one resident believed to be a member of the Al-Quds Brigades, the armed wing of the Islamic Jihad. The kidnapped Palestinian, Azmi Bani Odah, 35, was taken prisoner after the army broke into a home that belongs to members of the Al-Handoumi family in Rojeeb. The soldiers also kidnapped several other residents; some have been identified as Firas Ghassan Handoumi, Samer Al-Ghoul, Jalal Milhim, Mahdi Fayyad, and Bassam Thieb. In related news, soldiers invaded the West Bank city of Bethlehem, and the nearby towns of Al-Khader and Doha. Soldiers also surrounded the Aida refugee camp in the city, the site of ongoing clashes with the army for the fourth consecutive day. Furthermore, army installed several roadblocks on main roads around the camp, and searched several homes on the edges of the camp; no arrests were reported. Thursday at dawn, Israel soldiers invaded several towns and neighborhoods in the West Bank districts of Hebron, Jenin and Tubas. Several armored Israeli military vehicles invaded Doura town, near Hebron, in addition to invading several suburbs and neighborhoods in Hebron. The soldiers also installed a roadblock at the entrance of As-Samoa’ town, south of Hebron, and another roadblock at the northern entrance of Hebron city. In Jenin, the army invaded Al-Arqa village, west of the city, and searched several homes after forcing the residents out. Soldiers fired several gas bombs, and concussion grenades, and were extensively deployed in the village; no arrests were reported. Late on Wednesday at night, Israeli soldiers, accompanied by military bulldozers, attacked and demolished the Bab Al-Shams Palestinian village established by nonviolent activists on Palestinian lands Israel considers as “E1” area, and wants to build Jewish settlements on it. 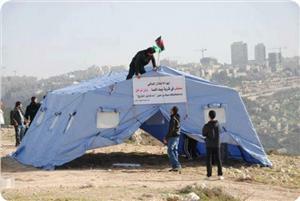 The soldiers removed the tents after sealing the area and declaring it a closed military zone. Palestinian nonviolent activist, Ali Obeidat, told the Maan News Agency, that a large number of soldiers were deployed in the area, Wednesday, and sealed it and declaring it a closed military zone. Obeidat said that the soldiers placed cement blocks on main roads, and by evening hours Wednesday, several military bulldozers were on the scene. Activist Mahmoud Zawahra stated that the Palestinians will rebuild Bab Al-Shams, and added that “Israel will soon be surprised to see each removed tent reinstalled”, and stated that the Palestinians are practicing their legitimate right in their own land. The army demolished the village after the Israeli High Court removed an injunction that prevented the army from demolishing and removing the tents installed by the Palestinians, and issue that granted the army a green light to act against the village and remove it instead of just removing the activists. On Sunday at dawn, January 13, thousands of Israeli soldiers and policemen attacked the Bab Al-Shams Palestinian village, and forcibly removed dozens of activists loading them onto buses; several injuries were reported. The detained activists were released later on. Two days ago, Palestinian medical sources reported that at least 11 nonviolent peace activists, and 7 reporters, have been injured when Israeli soldiers attacked a group of activists trying to reach the Bab Al-Shams, several activists have been kidnapped. 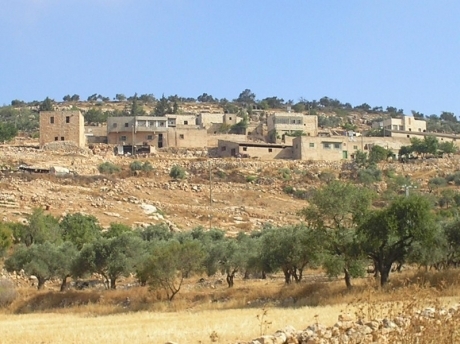 Bab Al-Shams was established in response to the illegitimate Israeli decision to build thousands of units for Jewish settlers in the “E1” area in occupied East Jerusalem, by illegally confiscating thousands of Dunams of Palestinian lands. The Ad-Dameer Prisoners Support and Human Rights Association strongly denounced the new Israel attack, carried out Tuesday, against the Bab Al-Shams Palestinian village, for the second time, and said that Israeli soldiers fired gas bombs, rubber-coated metal bullets and gas bombs to disperse nonviolent activists. The Ad-Dameer reported that Israeli soldiers violently attack and struck nonviolent peace activists in the tent village, and kidnapped twenty under the pretext that “they violated a military order” as the army declared E1 area (where Israel intends to build thousands of units for Jewish settlers on Palestinian lands) as a “closed military zone”. The association said that Israel’s illegal settlement projects are racist and very dangerous projects meant to “ethnically cleanse the Palestinian from their lands”. It added that the establishment of Bab Al-Shams village is an implementation of the Palestinian right to self-determination guaranteed by the first article of the International Covenant on Civil and Political Rights (December 16, 1966). It further stated that Israeli settlements, all settlements regarding of what Israel describes them as and what names it gives them, are serious violations of Article #49 of the Four Geneva Convention that states that an occupying state cannot move part of its civilian population into territories it occupies. Settlements are also considered war crimes under Article 8 of the Rome Statute section 2/B/8. On Wednesday at noon, the Ofer Israeli Military Court in the occupied West Bank, held a session for the 18 detainees who returned to the Bab Al-Shams village on Tuesday, and tried to reinstall the tents affirming the Palestinian right to the land. The Israeli military claims that the nonviolent activists “violated a military ruling that declared the hills of occupied Jerusalem as a closed military zone”, off-limits to the Palestinians. The Israeli Police and the military demanded the court to oblige the detainees to sign affidavits vowing that they will not return to the area for 180 consecutive days. Two of the detainees were tried at the Jerusalem District Court in occupied Jerusalem as they are bearers of Jerusalem identity cards. The Ad-Dameer stated that the Ofer Court decided to release the 18 detainees, ordering 15 of them to pay a 1000 New Israeli Shekels fine, while the remaining three were released on their own recognizance. The 18 activists will not be allowed to enter Bab Al-Shams, and the entire area that was declared as a closed military zone, until February 13, 2013. The Ad-Dameer said that demolishing Bab Al-Shams and the kidnapping of the nonviolent activists, is a direct proof that Israel’s arrest policies target the very basic and internationally-guaranteed rights of the Palestinian people, topped by their right to self-determination and their very existence on their own land. It added that the arbitrary Israeli policies of arresting nonviolent activists, and the ongoing attacks against the Palestinian people, will never be able to break the Palestinian will and determination to remain steadfast until full liberation and independence. Ad-Dameer called on the United Nations, and its secretary-general Ban Ki-moon, to act on maintaining and preserving the Palestinian rights, and to help the Palestinians in achieving their rights guaranteed by all international treaties. Israeli military investigation into the death of a Palestinian boy in Badares village, west of Ramallah, indicated that he came under heavy fire. Hebrew daily Haaretz said on Wednesday that the preliminary investigation into the incident revealed that Samir Awad was killed in intensive firing. The report disclosed that the Israeli occupation forces (IOF) have orders to shoot live bullets at any protests, noting that the order had led to the murder of a number of Palestinian youths during recent protests in the West Bank. The paper said that in another incident the IOF fired 80 live bullets “without convincing reasons” at a demonstration in Nabi Saleh village in Ramallah, which killed Rashid Tamimi, 31. It said that the IOF commander in the area fired teargas canisters at the youths who were protesting the war on Gaza and when the soldiers ran out of canisters he ordered more of them and ordered his soldiers to use live bullets at the demonstrators who were throwing stones. Israeli occupation forces (IOF) broke into the home of Issa Hreizat, 55, in Haram Al-Rama suburb north of Al-Khalil city on Wednesday and detained his family members for ten hours. It said that the family members quarreled with the soldiers for refusing to allow the children to go to the bathroom. The committee said that 30 members of Issa’s family including children and grandchildren were kept in two small rooms despite the fact that the house consists of a number of stories. The committee also said that the family noticed that the soldiers had electric appliances with them, which the family could not identify. 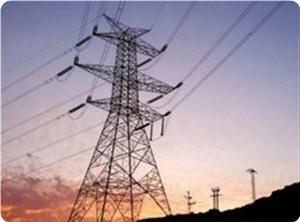 The Israeli occupation authorities (IOA) destroyed a power grid in Makhur area in Beit Jala town, Bethlehem province. Nael Suleiman, the head of Beit Jala municipality, said in a press statement that IOF bulldozers destroyed the power grid on Wednesday morning. He said that the power was cut on four homes and dozens of hothouses in Makhur area. Suleiman charged that the step was meant to deprive Bethlehem and Beit Jala inhabitants from making good use of their agricultural land. He noted that the area is considered the only available area for Bethlehem inhabitants to expand their demographic presence. Roumaneh town, West of Jenin, witnessed at dawn today confrontations between Palestinians and Israeli forces during which the soldiers fired gas grenades. Local sources said that the Israeli occupation forces stormed and searched houses of 7 citizens and searched the area around a mosque in the center of the village. The sources also reported that the youths threw stones at the Israeli soldiers and that the confrontations lasted until the early morning hours of today when the soldiers set up a military checkpoint at the entrance to the village. More than five Palestinians had been killed and dozens of others were wounded, in less than two months, with the occupation forces' live bullets in different parts of the West Bank. Israeli occupation forces (IOF) killed a citizen from al-Khalil with live bullets in November last year during clashes near Ras Jura that had erupted in rejection of the aggression on Gaza. They also shot dead another from Allar village in Tulkarm last December. An Israeli female soldier had also killed the boy Mohammed Salaymeh from the Old City of al-Khalil after shooting him with 6 bullets on the 12th of December last year. Worker Uday Darawish from Dura, south of al-Khalil, was also killed while trying to go to work when the soldiers opened fire on him. One of Darawish's relatives told PIC: "The soldiers started using bullets even with no need for it against the civilians as if they want to retaliate from West Bankers after their defeat in Gaza." The child Samir Awad was also killed by the IOF in the village of Budrus, west of Ramallah, while leaving his school, when he was shot in the chest and head. For his part, Mohammed Marar, the head of village council in Budrus, told PIC: "The clashes erupted between the children and the soldiers who fired live bullets immediately on martyr Awad. Four bullets hit him in his head and chest." 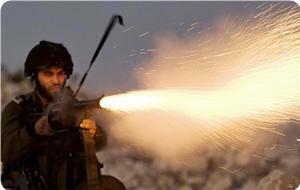 The Hamas leader Rafat Nasif told PIC that the victory of the resistance confused the occupation soldiers in the West Bank, and they started heavily using live bullets against Palestinian youths, after they lost in their last aggression on Gaza. Nassif pointed out that the election campaigns for the Israeli parties have begun on the land of the West Bank, noting that the killings and intimidation are the occupation's habit before each Knesset election. 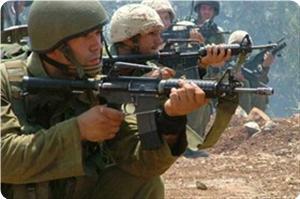 "The occupation has not stopped for a moment committing crimes against the Palestinians. We are recently witnessing a series of attacks that come in light of the positive atmosphere reached in the reconciliation file and the rise of Hamas's popularity in the West Bank," the Hamas leader added. 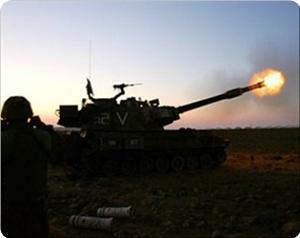 Israeli occupation forces (IOF) stationed to the east of Breij refugee camp in central Gaza Strip opened artillery fire at open fields on Wednesday. Local sources told the PIC reporter that three artillery shells slammed in open fields east of the refugee camp and no casualties were reported. IOF troops have systematically violated the calm agreement with resistance factions in Gaza reached with Egyptian patronage. A Palestinian farmer working in his field in northern Gaza was killed at the hands of those forces on Monday. Palestinian media sources reported that Israeli soldiers fired several artillery shells into Palestinian lands, east of the central part of the Gaza Strip, no injuries were reported. Eyewitnesses reported that the army fired at least three shells into a land east of the Al-Maghazi and the Al-Boreij refugee camps in central Gaza. Although no physical injuries were reported, several farmers and residents, including children, suffered panic attacks, and fled the area fearing addition bombing. On Tuesday morning, the army advanced dozens of meters into the Bouret Abu Samra area, north of Beit Lahia, in northern Gaza. On Monday evening, a Palestinian farmer died of serious injuries he suffered at noon after Israeli soldiers opened fire at him as he worked on his land in Beit Lahia. Israel does not allow the Palestinians in Gaza to reach their lands near the border fence in Gaza under the pretext of “security considerations” as part of the so-called “buffer zone” Israel enforced in border areas with Gaza. 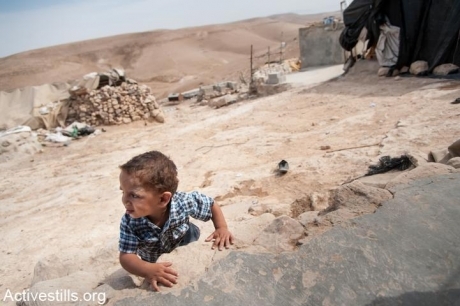 This issue is preventing hundreds of families from planting their lands near the border, farmers who managed to enter their lands are always subject to life-threatening conditions due to Israeli military fire. Dozens of Palestinian citizens marched on Tuesday to the area of the evacuated Bab Ashams village in east Jerusalem, but they were intercepted by the Israeli occupation forces (IOF) and 40 of them were detained. Some activists said that immediately upon their arrival in the village, the IOF violently attacked them and forced them out of the area, adding that the Israeli troops kept attacking them even outside the village. The physical attacks by the soldiers led to the injury of 17 activists, including six Palestinian and foreign journalists. Wadi Hilwa information center said the IOF closed the roads leading to Bab Ashams village and prevented paramedics from entering the area to provide first aid for the wounded. 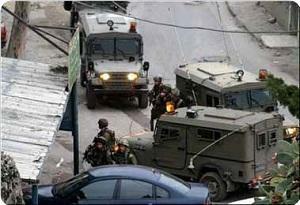 The IOF also fined the cars which headed to the village. As part of the popular resistance movement in Palestine, a group of Palestinian activists established last Friday the village of Bab Al Shams on a piece of confiscated land in east Jerusalem, called by the Israeli occupation regime as E1 settlement project. For its part, the Palestinian media forum strongly denounced the IOF for assaulting the journalists during their work on covering the military raid on Bab Ashams village in Jerusalem on the night of Sunday. In a press release on Tuesday, the forum said that the IOF attacked and detained journalists and used force to prevent them from doing their jobs. It added that the Israeli troops also focused their flashlights on the cameras to prevent the journalists from recording the violations that happened to the activists.